Ethiopia is an immense, landlocked country situated in northeastern Africa. Its capital city, Addis Ababa, sits at the core of this impressive land, boasting a variety of cultural attractions and tourism hotspots. The name ‘Addis Ababa’ in Amharic translates to mean ‘new flower’ – and Ethiopia’s bustling capital city is indeed blossoming. This is not merely due to the city’s array of exciting tourist attractions: it is also attributable to its extraordinary stock of landmark buildings and sites of historical and cultural significance. 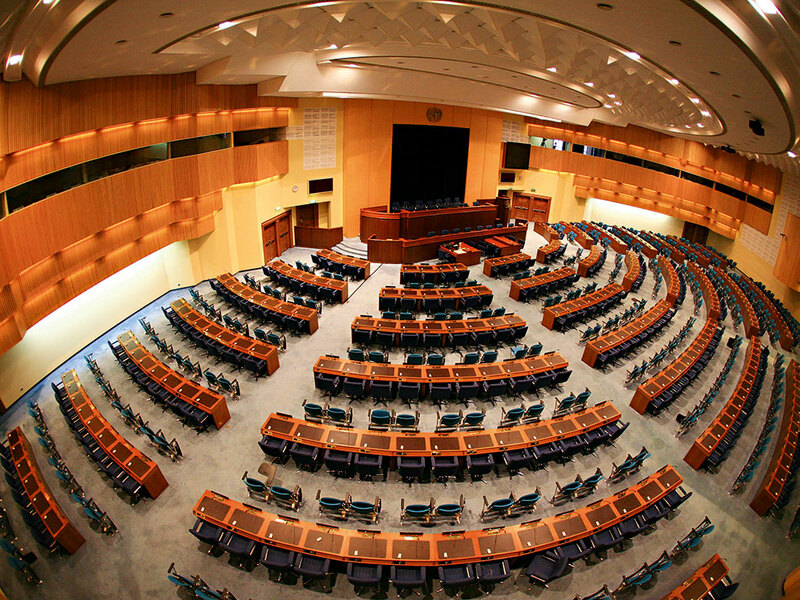 In particular, the United Nations Conference Centre in Addis Ababa (UNCC-AA) is an establishment that continues to draw in a wealth of international business travellers, with thousands of visitors arriving each year. Located in a secure compound, the UNCC-AA’s spacious and beautifully landscaped gardens provide an ideal setting for any manner of international conference or meeting. The centre has already hosted several high-level meetings, including the eighth annual Conference of Ministers of Finance, Planning and Economic Development, which saw the centre playing host to over 2,000 participants. Additionally, the UNCC-AA also expects to accommodate upward of 5,000 participants from across the world when it hosts the upcoming International Conference on Financing for Development – the third such annual event, and one of the top global events expected to be held at the conference centre in 2015. An assortment of influential world leaders have gathered in the UNCC-AA’s well-equipped meeting rooms over the course of its lifetime. Comprising two main convention halls, plus four conference rooms that can each host 114 people, the centre guarantees a convenient and appropriate location for any key event. The larger of the two conference halls is a prestigious venue, covering a total area of 1,200sq m and with a capacity of over 800 people. This layout has been configured in the past to host 300 heads of delegation from 56 states, as well as 300 additional delegates. The second conference hall is a medium-sized venue, which is capable of seating nearly 500 people. In addition to both of these expansive halls, the UNCC-AA offers a series of caucus rooms, some of which are capable of accommodating 50 people. UNCC-AA’s press centre and media services are guaranteed to meet every guest’s requirements: using Wi-Fi and closed-circuit televisions, the centre provides audio-visual coverage of proceedings in all halls and rooms, including online streaming of key areas through a seven-channel audio monitoring system. The centre also offers a six-language simultaneous interpretation system (plus floor language), along with electronic voting systems and discussion management technology. Delegates are guaranteed to enjoy a wide variety of menus during their time at the centre, with all meals expertly prepared by a five-star luxury hospitality firm within the UNCC-AA’s own well-equipped kitchens. A wide selection of catering options – from champagne receptions to gala banquets – are on offer for every event. The conference centre prides itself on sitting at the heart of the planet’s international communication networks – as such, further services offered by the UNCC-AA include a travel and ticketing office, communication counters, banking facilities and a post office. There is also a duty-free shop and a selection of other retailers that cater for every need, from daily basics to luxury goods. Furthermore, first aid, emergency and intensive care services are provided by the UN Health Care Centre within the complex, guaranteeing that every event will run smoothly and safely.